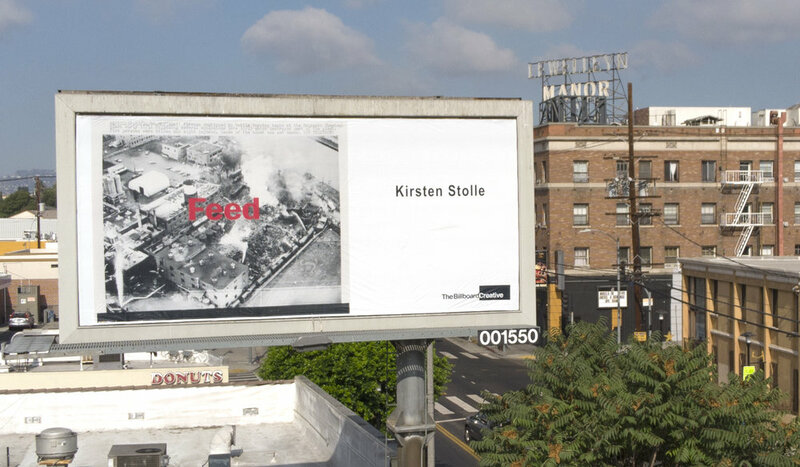 2018 Los Angeles Billboard Show For the month of October, The Billboard Creative will transform 31 Los Angeles billboards into public art spaces. My artwork FEED will be featured on a billboard at North Coronado Street and Temple Street. Feed is part of my By the Ton collage and silkscreen series examining the historical legacy of multinational chemical companies and their influence on the global food system.